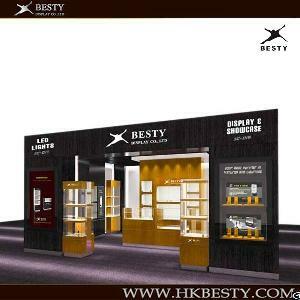 We are always attend the HK watch and jewellery exhibition every year. the exhibition booth by ourselves and we can take in charge of anything. We have our own design team and professional craftsman so we can give you high quality and luxury design. We have worked for this field almost 10years and we have a lot of experience to help you decrease your cost and boost your sales. If you are interested in it and i can send you more photo for your reference and you are welcome to visit our website also. Looking forward to cooperating with you, thanks.